Organizations generate huge volumes of data that double every two years on average, the vast majority of which is unstructured. While the volume and velocity of big data increases, there are costs, risks and usability challenges associated with managing big data including end-to-end data risk protection, search, discovery and access – regardless of the file type, size or device. 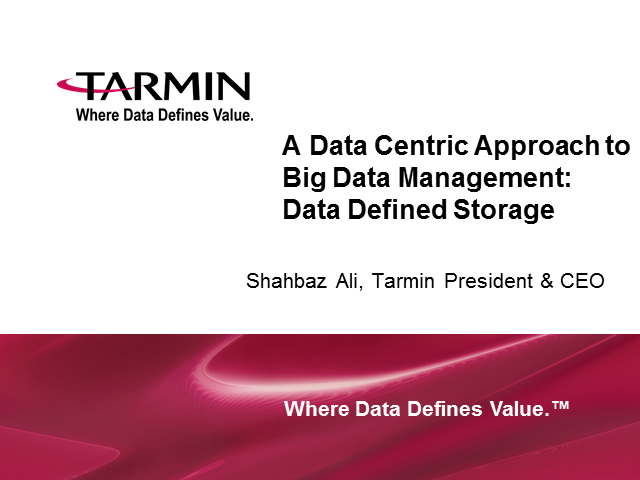 Data–intensive verticals that strive to gain insights from big data can gain tremendous competitive advantage by taking a data centric storage approach.